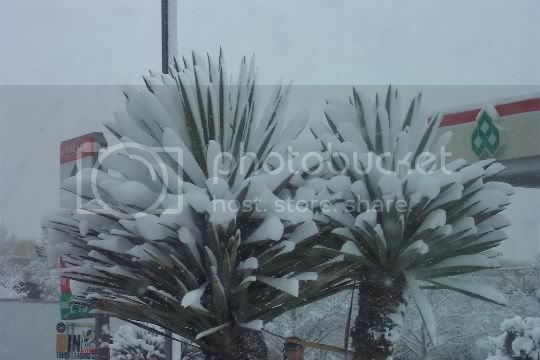 So, it finaly stopped snowing in town around 2pm or 3pm today, after about 24 hours of snow. I have heard that we got around 10.5 inches of snow here in the metro area, and I dont know how much up on the Sandia's, but it's a lot. 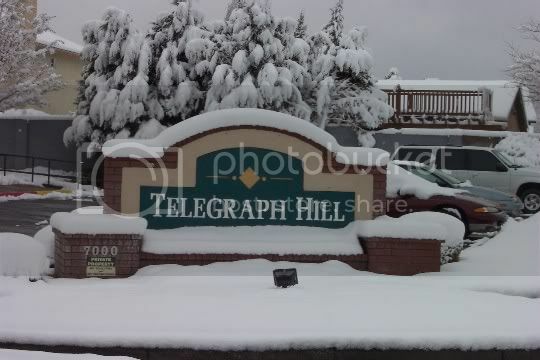 Las Vegas, NM got over 3 feet of snow, after 3 days of snow. WOW! Right now, a good portion of the state is under a State of Emergency, which means the state is going to help pay to cleans all this white crap up! I-40 from Tramway to the east is finaly open, after being closed for about 24 hours. I was surprised at how good the streets were intown today. I must tip my hat to the City of Albuquerque street crew (Right now, you guys rock). Now, we will find out if I still say they rock in the morning, when I have to goto work! So, lets just hope, cus God only knows there is going to be ice everwhere, and they are also now saying very dense fog, like white out conditions. I also took my digital cam with me, and took about 60 pictures, but I'm only going to post about 8. Since I had my cam with me, I did also take pictures of my office, and the outside of my office building. So, I will try to post thoese at a later time, like Wednesday or Thursday. 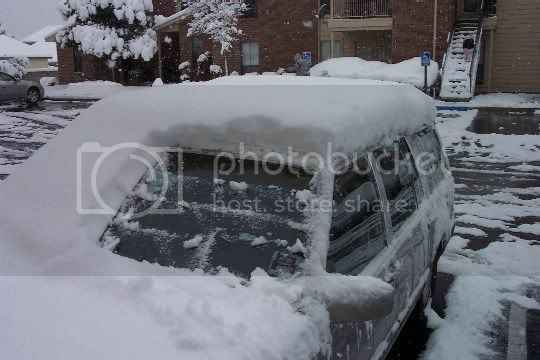 Well, I was off work today due to the snow, but I did go down to do the backups and a few other things. So, it was a nice day off. But, with all the snow and closing the office early Monday, and just being off on Tuesday, I forgot what day it was, and that I had a metting tonight. I still can not beleave that I forgot about the council metting, but it's only like the 2nd or 3rd council metting I have missed in about 4 years. Well, I think that is it for now, but enjoy the photos I took. 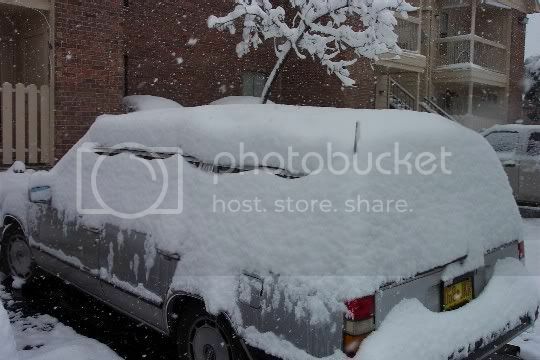 This is a picture looking at my car covered in snow Tuesday morning. 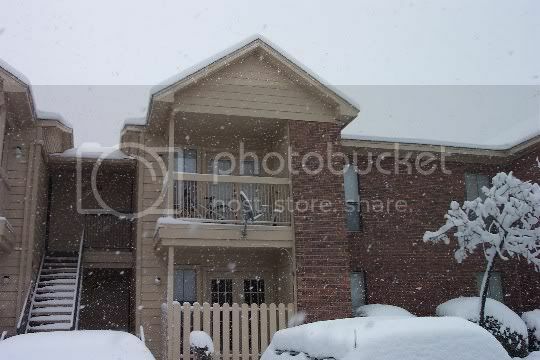 Looking at my apartment (mines on the bottom). 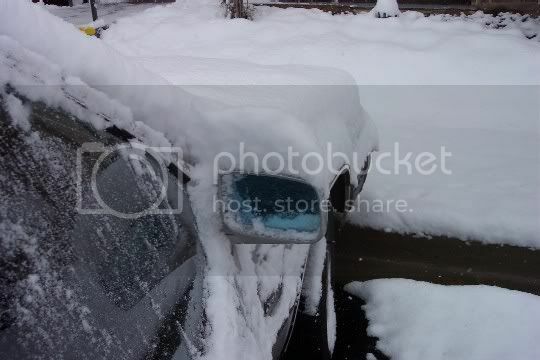 Look at the snow on my mirror. I can see out of my window! 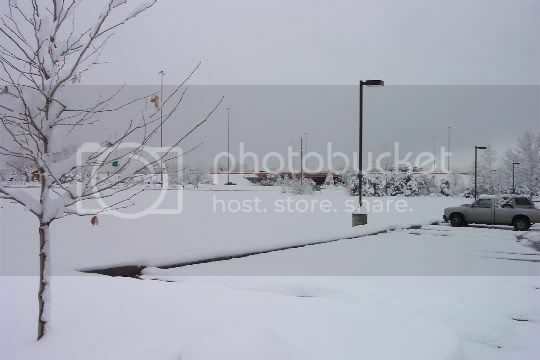 Snow and the freeway, not a good mix! This is where I live, how cute. It does not even look Albuquerque! It looks like somewhere back east or something. I forgot how much I just love the SNOW! But, at the same time, I'm glad the storm is gone, cus it means the state can get back to normal. Well, as normal as New Mexico can get.